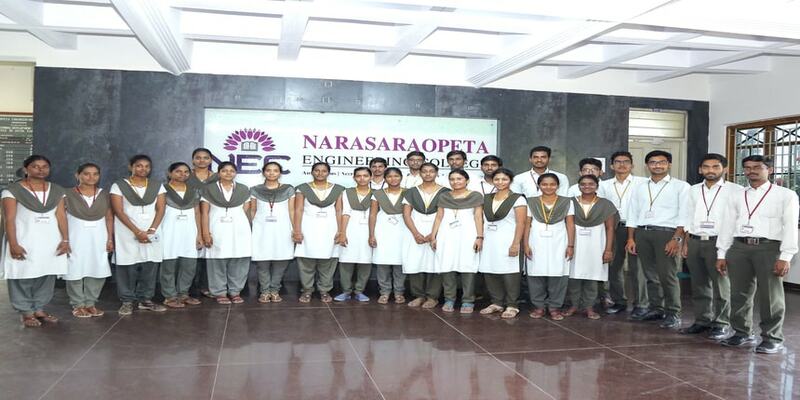 NEW DELHI, APRIL 17: Narasaraopeta Engineering College (NEC), Guntur witnesses record-breaking placement with 725 students receiving offers from multinational and Indian companies. A total of 45 companies participated in the college campus in the recruitment drive. Speaking about the success of the students of NEC in placements, NEC Vice-Chairman Mittapalli Chakravarthi said "Our students have proved that academic success goes hand-in-hand with real-time tests" I congratulate the placement cell for their hard work in equipping students with soft skills and professionalism"
The average package of the students is 2.2 LPA, with the highest package being 4.25 LPA and the lowest being 1.44 LPA. Further, the highest recruiting domain is Graduate engineer trainee and software engineer trainee. Companies making the highest offer were CTS, TCS, WIPRO, and MPHASIS. As per the placement coordinators of the college, they are working towards placing the remaining students as well. For the purpose, they will be applying for off-campus recruitments and will reach out to their past students for getting referral programmes.